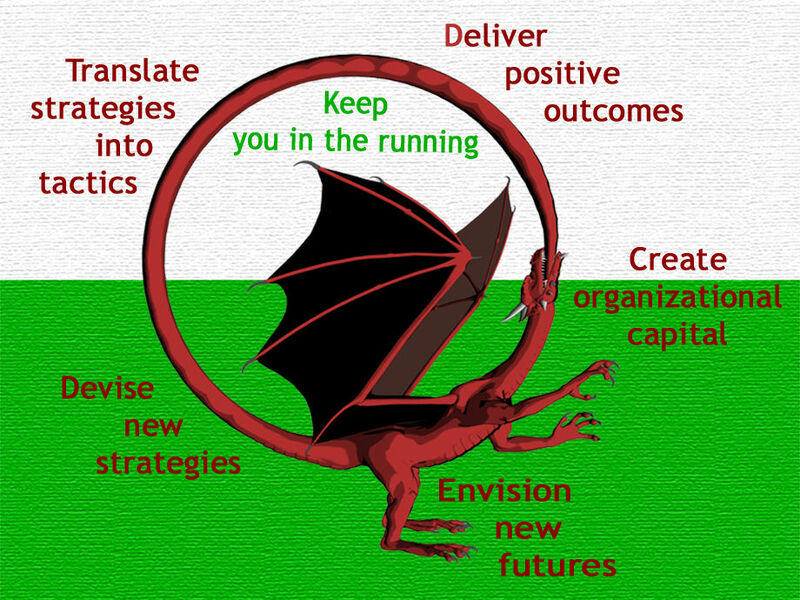 SWCRO is van Helsing's flagship programme to help organizations in Wales become more resilient. With SWCRO, organizations can engage with a van Helsing Critical Friend to co-produce bespoke solutions to address an organization's specific development needs. The Ouroborus below indicates the cyclical nature of resilience building and generic points of entry into the programme. Organizations fail to operate at peak performance for a myriad of reasons. Symptoms may present sporadically or may be pervasive. You may recognize some of the illustrative symptoms in the left hand column. If you do - don't worry, you are not alone. The important thing is to recognize them and take steps to overcome them. Van Helsing offers via SWCRO a means of improving the situation as indicated by the illustrative suggestions in the right hand column. Where might you start on your SWCRO journey? That depends on your individual organizational characteristics and where you perceive there to be an area that requires external independent constructive review. With SWCRO you can develop resilience for your organization and its people. We look forward to considering whether SWCRO is the right journey for you and your organization. Please contact us at jan.wademan@vanhelsing.com to arrange a preliminary complimentary discussion. 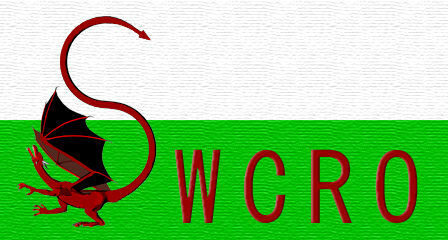 SWCRO: The programme for organizations in Wales and those with an interest in Wales. 1 What inspired the creation of SWCRO? 2 What's the relevance of the word SWCRO? 3 What does SWCRO aim to do? 5 How is SWCRO delivered? 7 How is SWCRO different? 8 Where might we start on our SWCRO journey? 1. What inspired the creation of SWCRO? Three years of global economic turbulence with centralized funding has had enduring fallout of reducing regional public funding with its harsh effects on public services and diminishing procurement opportunities. Supply chains have been decimated, swathes of people made redundant increasing inequity and resulting in a general degradation of well-being for people and places. This demonstrates the need for regions to become more resilient; the key to resilient regions is the organization and use of the specific resources that operate within its boundaries and reach. 2. What's the relevance of the word SWCRO? The word SWCRO is a play on words. Firstly, it is an abbreviation for: Serving Wales by Creating Resilient Organizations. Secondly, the SWCRO programme is inspired by the Welsh word SWCRO which literally means to succour, but like many Welsh words it has far more warmth and charisma than its English counterpart. In Welsh, the word conjures up an image of caring and embracing - of providing warmth, comfort, security and sustenance. For this reason it is the perfect descriptor for what is being offered by van Helsing Limited, a fully supportive programme delivered in a way to achieve sustainable results. 3. What does SWCRO aim to do? SWCRO is to serve the people and organizations of a distinct economic region in an interconnected world. SWCRO is Wales' very own instantiation of van Helsing's global participative research programme - a programme geared to creating Resilient Organizations. Resilience is the ability to recover from stress (whether that be environmental, social or economic) in the way a healthy ecosystem does. Resilience is the ability to absorb and adapt to change and to shocks. It is about developing new means of supporting the well-being of people and place. There is a worldwide recognition that we cannot persist with business as usual, politics as usual or paradigms as usual. Every region in the world needs to be smarter about region-specific strategies for resilience. 5. How is SWCRO delivered? The focus of the offering is the trusted Critical Friend, someone you can rely on to tell you it as it is - in a constructive and diplomatic way. The Critical Friend operates either on a 1-1 basis or as a non-executive/ independent advisor acting as a trusted sounding board. A friend who listens and supports, who challenges and critically analyses, acts as a coach and/or mentor as appropriate, plays the part of the devil's advocate, one who builds confidence and aspiration. Van Helsing is the person you bring in when there's a knotty problem! The SWCRO programme was conceived by van Helsing Limited in 2009. It is the culmination of 31 years participative research while working in and with public and private sector organizations (as an employee, manager, consultant, non-executive director, adviser) observing what works and what doesn't. We have the tools and processes to do the job - to have the courage to envision and then make that vision reality. We all know that policies and strategies are not enough; they are necessary but not sufficient. To succeed, an organization needs the right vision at the front end and the tenacity to deliver throughout the organization. How often does officialdom get in the way of delivery? For that reason the SWCRO programme is apolitical. Furthermore, engaging with SWCRO has minimal overhead and is not fettered by bureaucracy. An innovative pricing policy ensures that there should be no barrier to participation. Successfully bringing visions to reality boosts confidence and fires aspiration. By engaging in SWCRO you will be buying into a virtuous circle of success generation and ever-increasing resilience for your organization. 7. How is SWCRO different? It is a flexible and scaleable offering, allowing your organization to bootstrap its Return on Investment. Packages of support commence at a nominal fee and can develop at a pace to suit your organization. 8. Where might we start on our SWCRO journey? That depends on your individual organizational characteristics and where you perceive there to be an area that requires external independent constructive review. An organization's people are best placed to know its requirement - we can help you tease out those requirements. With SWCRO you can develop resilience for your organization and its people. We look forward to considering whether SWCRO is the right journey for you and your organization. Please contact us at: jan.wademan@vanhelsing.com to arrange a preliminary complimentary discussion.